This should be a quick cache and dash with good parking. The main road has fast traffic so please don't stop on it, there is no need. Please park considerately and don't block the drive to the house. This is a pretty village sign placed at a crossroad on the road to North Walsham. 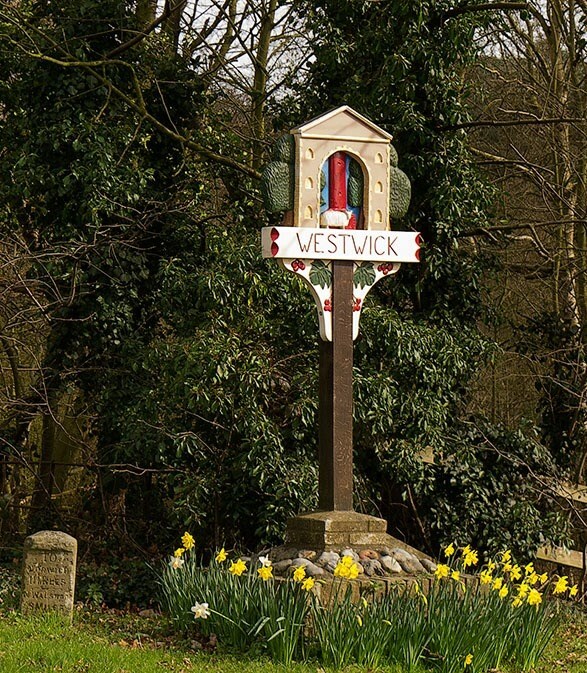 Westwick is a small hamlet of scattered houses with less than 100 residents registered at the last census in 2011. I often pass this sign on my way to North Walsham so will be looking out for fellow catchers. You are looking for the inevitable film pot.😀 Bring your own writing implement. Please sign the log, play the game, otherwise I may remove your log.